The starting time depends on the month. The exact time will be confirmed after your booking. The trip is public and runs with a minimum of five people. The trip runs from June to October. The route is a K3 level. 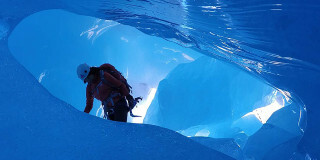 Participants must be experienced trekkers, in good physical shape, and have a head for heights. What to bring? Wear comfortable sportswear, a fleece, sunglasses. Please bring a picnic lunch, energy bars, water, sunscreen, and a camera. The price of the train ticket from Grindelwald to the via ferrata varies if you have a Swiss Travel Pass, a Eurail/Interrail pass, or you are under 16. You pay for the ticket upon arrival. There are a few mountains that every nature lover knows. 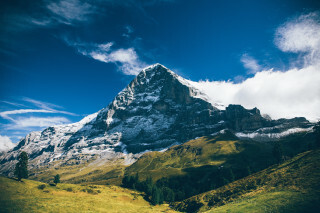 Switzerland’s Eiger Mountain is certainly one of them. Reaching almost 4,000 m (13,100 ft), the north face of the mountain is one of the most famous in the Alps, along with that of the Matterhorn. Climb this legendary mountain on a K3 via feratta up to the Rotstock, a jagged ridge at the foot of the north face. Starting from Interlaken, the trip begins with a 30-minute drive to the quaint village of Grindelwald. From there, you take a train to the Eigergletscher station, just next to the Eiger glacier on the northwest side of the mountain. A short trail brings you to the starting point where you receive all your equipment and get ready to climb. 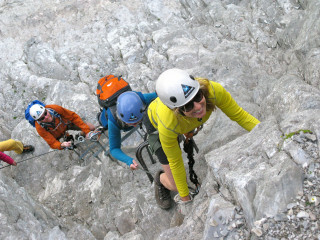 Climb over a grassy ridge and up exposed ladders to begin the route. You then enter into a giant gorge, surrounded by rock walls on both sides. Iron ladders and rock steps date back as far as 1899; although now there’s some more wire to secure your steps. 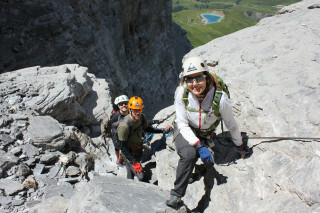 With some light rock scrambling, you reach the Eiger west flank, where you can marvel at the massive height of the north face. 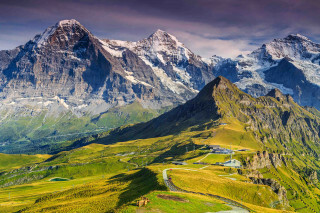 Look over the town of Grindelwald settled in bright green meadows between snow-topped peaks. 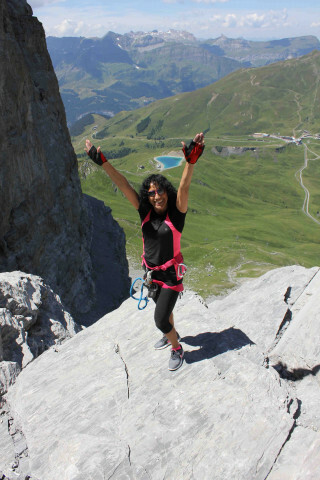 From this point you can also admire the Matterhorn, another giant Alp at over 4,000 m. You then start the descent down rocks along fixed rope back to the station and return to Interlaken. Witness a legendary Alp up close. 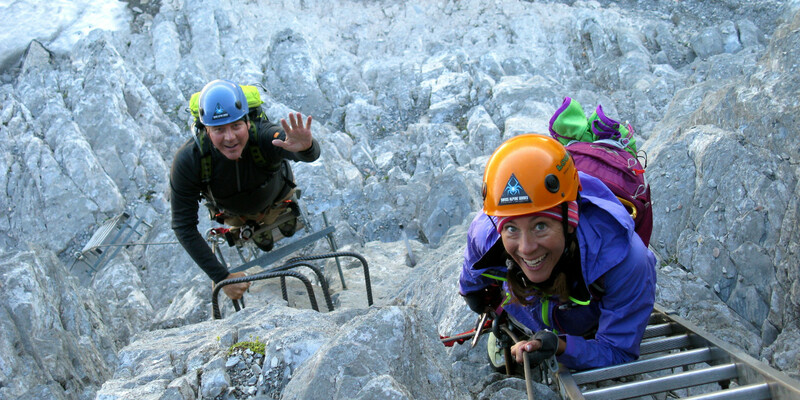 Climb a via ferrata along the Eiger North Face to discover this famous natural wonder and reach incredible views of the majestic Swiss Alps.